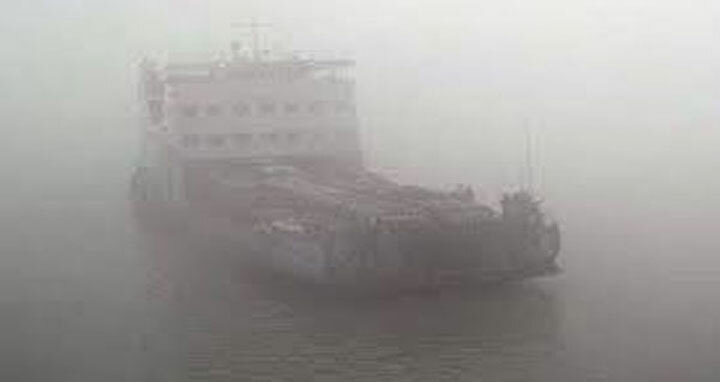 Dhaka, 13 Jan, Abnews: Ferry services on the two major routes in Shimulia-Kathalbari and Paturia-Daulatdia in the Padma river were disrupted early today due to dense fog. The Bangladesh Inland Water Transport Corporation (BIWTC) Assistant Manager Gias Uddin Patwari said they suspended the ferry services and plying of water vessels on the route from 2:30am due to blurred visibility caused by thick fog. The ferry services will return as soon as the visibility returns, he added.